Jesus said to his disciples "Go therefore and make disciples of all nations, baptizing them in the name of the Father, and of the Son, and of the Holy Spirit, teaching them to observe all that I have commanded you." The Sacrament of Baptism at St. Philip the Apostle Catholic Church is celebrated by appointment. There is a one hour baptismal preparation course which is typically held prior to the celebration of the sacrament, on the day of. All of our sacraments are available in both English and Spanish. If your child is past the age of 7 years old, and has not been baptized, then a special program of faith formation will be developed for them in conjunction with our Parish Religious Education (PRE) program held on Wednesday Evenings from 6:30 - 8:00 PM in the St. Bellarmine Religious Education Center (BREC). 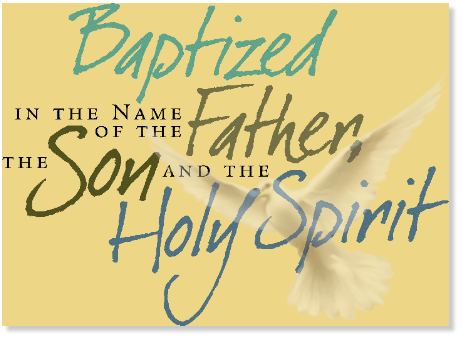 The children who are part of this faith formation program will receive the Sacrament of Baptism at the Easter Vigil Mass.